This classic roll neck jumper is knitted from a luxurious merino wool that is exceptionally soft and lightweight while still being excellent at regulating body temperature. 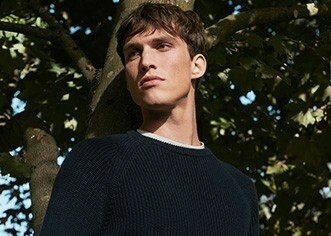 Featuring a regular fit with a classic roll-over rib that sits close to the neck, this jumper has a refined look that is perfect for layering all year round. A timeless wardrobe staple; pair with jeans or chinos and layer under one of our blazers for a sleek finish.